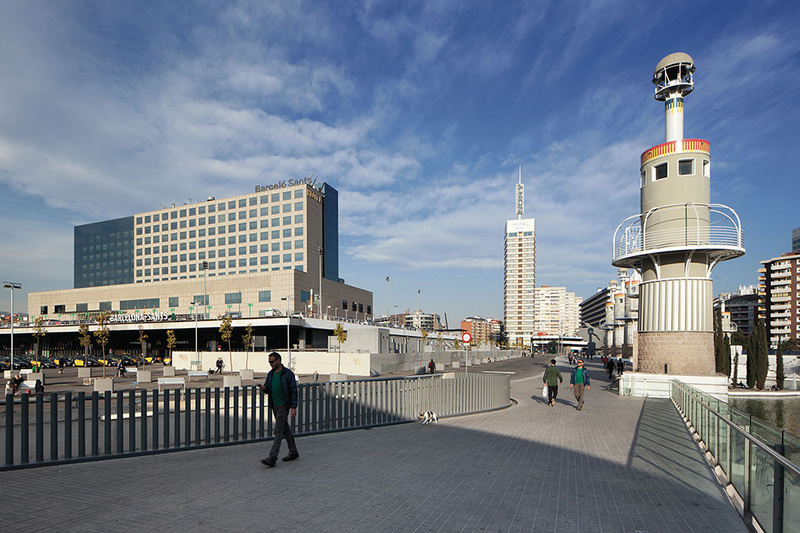 To say that Barcelona Sants is an area of contrasts in an understatement. Like many of Barcelona’s neighbourhoods outside the city centre, it was once an independent village, with a reputation as a hotbed of working-class character and proliferation of textile mills. Some of these, like the Vapor Vell have been converted to arts and community centres, and some were demolished. Formulaic high-rise apartments replaced them in many instances, but Sants still has plenty of slightly rough-around-the-edges charm once you get into its back streets. 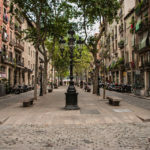 From Plaça Espanya, start exploring Sants along the Carrer de la Creu Cuberta (in Roman times known as ‘the road to Spain’) – its main street and reportedly the longest shopping strip in Spain. 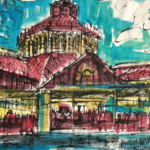 Along with old-school tapas bars and the sort of mom and pop lingerie and hardware store that have all but disappeared from Barcelona’s old town, you’ll find the Mercat de Hostafrancs, a food market that is always buzzing with trolley-pushing housewives and gipsy rag traders. A bit further along, you’ll find the Sants Ajuntament (town hall) – a grand modernista-style edifice with a wildly decorated lobby (you can wander in and take a peek). Just behind this, the Plaça d’ Osca is a favourite haunt – a pretty square with lots of outdoor tables to rest up over a glass of vermut or artisan beer at Homo Sibaris. There are a couple of galleries and craft venues near here too – browse an abundance of vintage cinema posters at Groucho y Yo. With no tourists to cater for, eating out in Sants provides a mostly more relaxed and authentic experience than you will find elsewhere in the city. For spicy Ethiopian cuisine, try Addis Abeba. Arrive early for the perennially popular La Paradeta, a cross between a fishmonger and fish and chippery, and Santa Cerviche reportedly serves the best Peruvian nosh in town. In the evening, head to the Parc d’ Espanya Industrial, a futuristic park next to the station, for an authentic slice of neighbourhood life, as dog walkers and football-kicking kids come out to play.